Fighting monsters, bad guys, and yucky bugs! Deep within, a secret identity has been brewing. It’s something that I’ve been denying. . . but that I’ve always known was there. Most super heroes get their powers from a significant moment in their lives: being bitten by a radioactive spider, crash landing on a planet where your regular characteristics are amplified into super strength, or by wearing a green power ring (ok, that one is dumb). Where did I get my powers, and what exactly are they? “No, dad. I want to be an architect like you.” I slowly looked up at myself in the mirror with “cool guy” squinted eyes, and gave myself a slow, knowing head nod. I AM pretty much a super hero, providing The People with shelter and design, not letting budgets and gravity stop me from. . . .”I want to be a shark too.” Well then. . . Seriously though, some days I do feel like a super hero. It doesn’t take much. 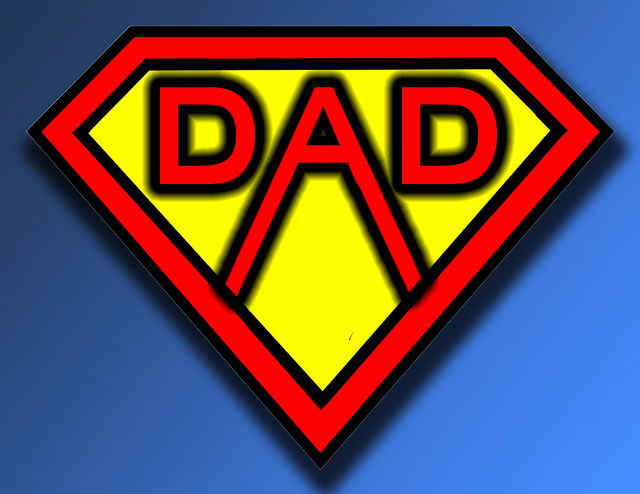 Sometimes I’m appointed to the role: “Dad, you be the super hero, good guy and I’ll be the bad guy!” Sometimes my ‘dad reflexes’ kick in and I somehow manage to leap into action at the right moment and catch my son out of the air (that happens all too often). But one of the characteristics of a super hero is that they are someone who you might look up to. Although I am not actively seeking super hero status, I have come to realize that the statement “I want to be an architect like you” carries a TON more responsibility than I initially thought. Not because he’s actively pursuing a design degree, but because it shows that he’s looking to others as a role model. He told his teacher that “mom is my best buddy”. It’s cute. It makes us smile. But it also shows us that he’s looking up to us. He’s putting us in positions that he respects and he’s letting us, and others, know about it. He’s watching. He’s listening. And, like a stereotypical 3 year old, he doesn’t miss a trick. I guess this is a long winded way of realizing that I need to be a good example, but it makes me wonder what else he is absorbing. Is it possible that he is learning and appreciating his surroundings and the built environment? Does he “get it” that the places we inhabit are designed and can be good or bad? Shouldn’t we be setting a good example there too? Should our LEGO buildings meet code as well as be aesthetically pleasing? What’s the design intent of the stretched tensile fabric living room fort? You better follow the design drawings because you don’t know who’s watching!! I’m not going to get into the latest edition of the International Building Code with him, and we’re not going to start researching building materials together, but there are things that we can do & learn together that will start to inform his thoughts about his surroundings: “this place feels small”, “I like being here because. . . . “. Eventually, maybe I can teach him how to leap over tall buildings in a single bound. . . .
Oopsy Daisy Fine Art for Kids has a wide variety of art in different formats (wall decals, framed, etc.). Some of it can get a bit pricey, but there are a lot of options for reasonable cost. The print above, “Construction Zone” would be a great addition to any little one building their future.